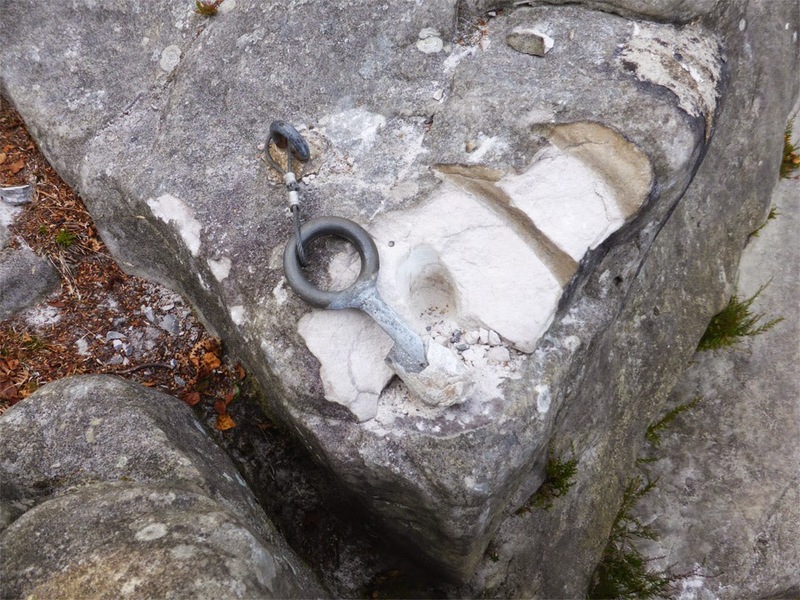 The bolt above 'Grant's Crack' as failed at Harrison's Rocks. Nothing lasts forever. After closer inspection the bolt seems to have failed through natural erosion. 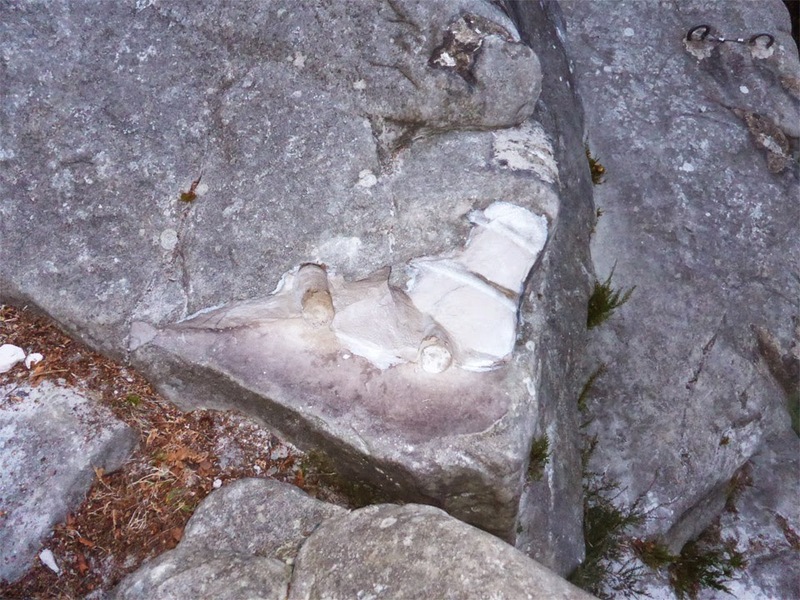 It is clear to see in the photos below that a shelf had naturally formed under the rock that had cleanly broken away. This could be due to the hairline fractures that were visible around the area where water had seeped in under the rock. Some additional rope groves close to the bolt may have contributed to the erosion but was not likely to be the main cause. The 25 year bolt has stood the test of time and the backup bolt held firm. Both bolts have now been removed and the broken area has been treated to prevent any further erosion by members of the HRMG. Please keep clear as repair work is still being carried out. New bolts will be placed at some point in the future in a different location, but until then please use a different bolt and ensure no ropes or slings come in contact with the damaged area. Damaged area after bolt removal and treatment.